Vijay's Mersal became the highest-grossing film of his career. As per the trade reports, it has minted over Rs 250 crore at the worldwide box office. 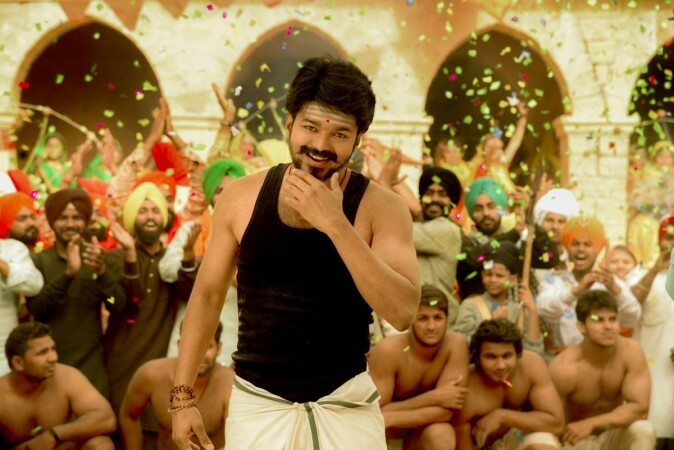 A section of the media had reported that Mersal was a flop at the box office. Now, leading distributor Tiruppur Subramaniam has stated that the Vijay-starrer made a wonderful collection in Coimbatore region next only to Rajinikanth's Enthiran and SS Rajamouli's Baahubali 2 in terms of business. Tiruppur Subramaniam has provided the box office numbers of Coimbatore region where it has raked in over Rs 12 crore. "Though Baahubali 2 had better collections, I wouldn't consider that as a proper straight Tamil film. Not just in Coimbatore, you can check with other area distributors as well, and they will tell you that Mersal is the highest grossing Tamil film till date," Behindwoods quotes him as saying. However, he refused to answer whether it is a hit or a flop as the producer should answer the question. Tiruppur Subramaniam indicates that the cost of the production, salaries and other expenses should be taken into the account before declaring its status at the box office. Nonetheless, Vijay's Mersal has become the highest-grossing film of his career. As per the trade reports, it has minted over Rs 250 crore at the worldwide box office. The Atlee Kumar-directorial is now at the fifth place in the list of all-time highest-grossing movies of South India. The list is dominated by multilingual films with two-part Baahubali series in the first two positions for minting over Rs 1,700 crore and Rs 600 crore at the global box office. Rajinikanth's Enthiran and Kabali are in the third and fourth positions by earning more than Rs 290 crore, Rs 286 crore respectively. Mersal brings together Atlee Kumar with Vijay after their blockbuster Theri. The latest movie has Kajal Aggarwal, Samantha and Nithya Menen as the female leads. It is the 100th film of the reputed production house, Sri Thenandal Films.